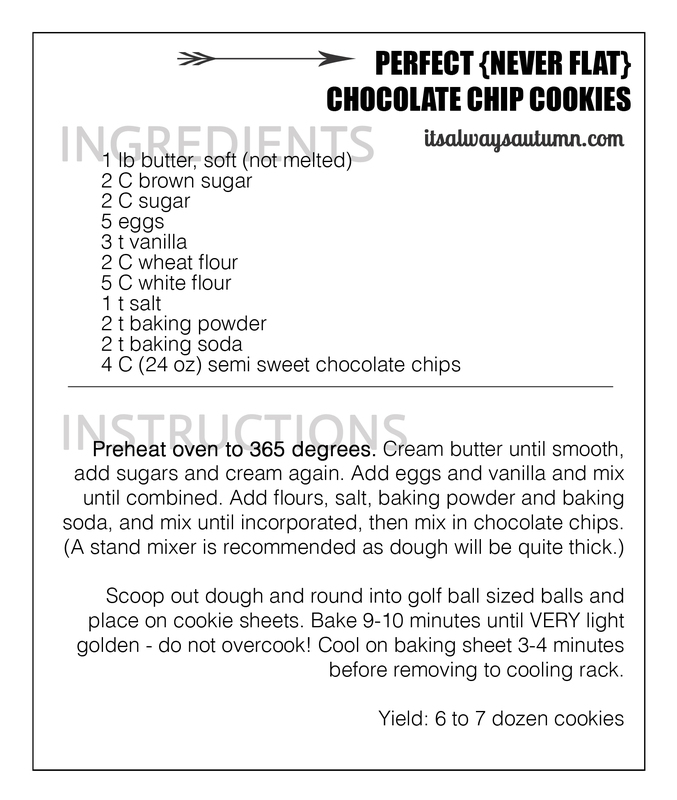 I’ve seen lots of chocolate chip cookie recipes floating around blogland, all of them claiming to be the best. Some call for melted butter or browned butter while others say melted butter is the root of all evil, at least where cookies are concerned. Some recipes use unsalted butter (I do NOT want to have to go to the store when I make cookies so please let me use normal butter) while other recipes insist you refrigerate the dough for hours or days before baking (not gonna happen at this house – if I want cookies, I want them now. Not in two days). 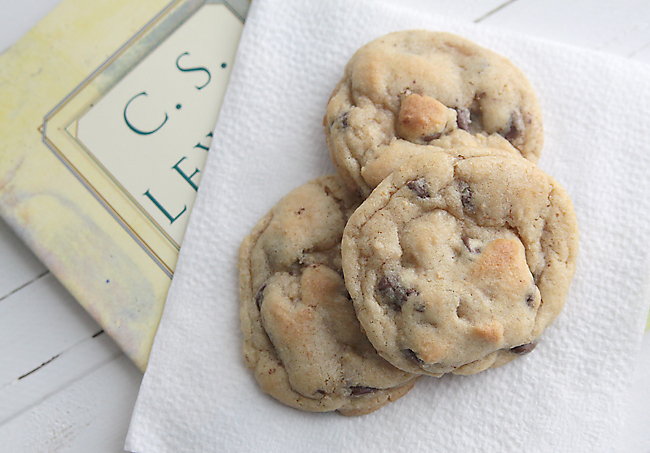 Somebody please just give me a chocolate chip cookie recipe that uses normal ingredients, doesn’t require chilling the dough or letting butter soften on the counter all day, that results in a soft, chewy cookie that will NEVER EVER go flat! Turns out my mother-in-law gave me that exact recipe 14 years ago. This recipe makes perfect (yup, perfect) cookies every time, even if you happen to nuke the butter a little too long (it happens to all of us). These cookes are soft and delicious and look as good as they taste. This is a big recipe, so you’ll have plenty of cookies to eat and plenty to share. In fact, you’ll probably have enough to freeze some balls of dough, giving you instant cookie gratification another day. This recipe is THE ONE. You’ll find all your normal cookie ingredients here – butter and vanilla for lots of flavor (although you can make them with margarine in a pinch), plenty of brown sugar (and white as well), flour, soda, and salt. Sounds kind of like that Tollhouse recipe that’s famous for making super flat cookies, right? Well, we’re going to fix the flatness problem with a little bit of wheat flour and a touch of baking powder – you’ll end up with beautiful cookies that are chewy and cakey at the same time. Now, I know you might not have whole wheat flour in your kitchen right now, but if you buy a 5 lb bag and keep it in the back of your fridge it will stay good a long time and make a lot of batches of cookies. I recommend using a stand mixer when making these cookies because the dough is quite stiff at the end, plus it’s a huge batch. Back when I didn’t have a stand mixer I’d use a hand mixer for the first few steps, and then just use my hands to finish mixing in all the flour. It takes a few minutes longer, but it works, and it won’t kill your hand mixer. The other secret to perfect cookies is the perfect cooktime. I find that golf ball sized balls need to cook for exactly 9 minutes in my oven, and not a second longer. This gets them cooked enough that they aren’t doughy, but not long enough to get crunchy. 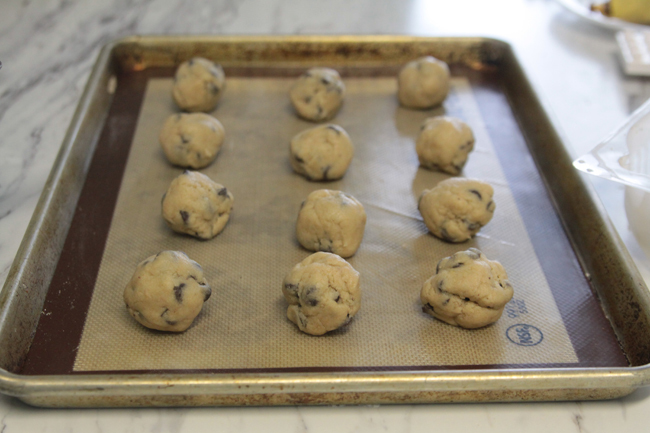 They will look like the photo below when they are done – tops cracked and just a tiny hint of golden brown. Once you let them cool on the baking sheet for 3-4 minutes they set up enough to transfer beautifully to a cooling rack or plate. 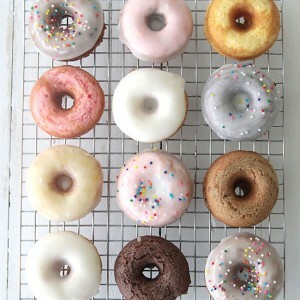 One last note – since it’s hard to perfectly measure flour without weighing it, pay attention to how thick your dough is once it’s all mixed up – if should be quite thick. If it’s not, you run the risk of flat cookies, so go ahead and add up to 1 more cup of either white or wheat flour until it’s nice and thick for perfect cookies. Beautiful! Perfection! Just making them tonight and tomorrow we will deliver to our local fire station to thank them for all that they do to keep our city safe. They are going to love these! I’m so happy I found these and that they turned out AWESOME. thanks so much for letting me know they turned out! Hi Autumn – I’m living full-time as a missionary and a Spanish language student in San José, Costa Rica (with my family) and I just made these cookies for the first time tonight. My family LOVED them and I was so happy to have so many to store in the freezer for future munchies and for sharing with our friends. Thank you so much for working out all the specifics. I really have no idea how baking will turn out here because the butter here is SO different … but what I bought today worked! Yay and THANK YOU!!! Just made these for my family. They are amazing! Thank you! Yes – those amounts are correct! This recipe is about triple the normal tollhouse recipe, so 3 teaspoons of vanilla instead of 1 in the tollhouse recipe is just about the same. As for the baking soda, this recipe calls for baking powder as well, so 2t of each is plenty for the large amount of flour. I hope you like the cookies if you give them a try! Has anyone made half of this recipe? I don’t want to commit to such a large batch the first time – but I don’t want to mess up the result. I weigh my ingredients so dividing the recipe isn’t difficult. Yes Deb, it works great halved! I just use 2 eggs and 1 egg yolk (since it calls for 5 eggs) and then divide everything else exactly. Good luck! Commit you will love them!!!!! Autumn, I’d like to subscribe to your blog but when I clicked on your subscribe link, it told me the publisher had disabled it. What do you suggest? Could you email me? I’m Jillee’s daughter-in-law, Kaitlyn’s Mom, and I really liked your post on OGT about the paper plate cookie basket! Thanks for filling for Jill while she was in Washington, D.C.! Sorry about that – the subscribe form is now at the bottom of the sidebar on the right. I’ve gone ahead and signed you up – thanks! Is it necessary to add the whole wheat flour or can you use all white flour? I’m sure you can use all white flour and it would turn out fine. 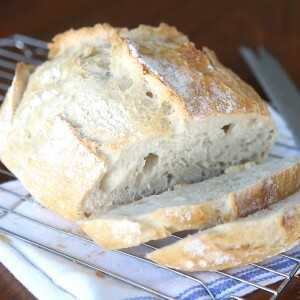 I like the wheat flour because I think it gives it a little more depth of flavor, but if you don’t have it, you’re ok! Just wanted to sign up for your recipes. This one looks great. Hi Wes! Would you like to receive email updates when a new post goes live? It would be for all my posts, not just recipes. Let me know and I’ll get you signed up – thanks! Hi! 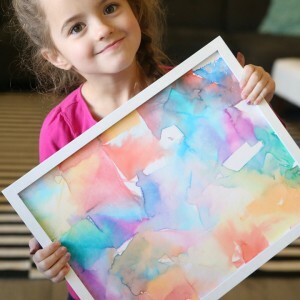 Love all your ideas! I was wondering if I could get your recipe for the Soft Sugar Cookies with Cream Cheese Frosting? I am having some problems with my computer and couldn’t download it. Thanks! So sorry! What a disappointment. If you haven’t already chucked the rest of the dough, pull it back out and stir in more flour until the dough is quite thick (it’s hard to measure flour exactly since sometime it’s settled/not settled, so sometimes people can get different results with the same measurements). I added a note in the post that the finished dough should be quite thick and stiff, so if it seems soft when finished mixing you can add up to 1 extra cup white or wheat flour to make sure the cookies don’t end up flat. Sorry again – hope this helps! Can u use self rising flour? If so do you still add the salt, baking powder and soda? Amy, I’ve never used self rising flour in anything, so I don’t really know. If you give it a try, come back and let us know how it works! Can you please tell me what ‘wheat flour’ is? I’m from Australia and we don’t have anything of that name here (and aren’t most flours made from wheat?). My guess is it could be wholemeal flour or self-raising flour. But I don’t want to add the wrong thing!!! I just made this and it was extremely dry. The small balls didn’t ever flatten out and they were in for 10 minutes and didn’t cook very much. I followed the recipe to a T and checked and rechecked it. Anybody know what I might have done wrong or why they might be too dry? I’m new to baking so I am sure that I did something wrong. Oh & one more thing….I did make a half batch using your directions to use 2 eggs & 1 egg yolk (since the original recipe uses 5 eggs) because I have to say I was just a tad skeptical, since I have tried so many recipes and never found one up until now. The half recipe worked out just fine. Just a bit of warning…..if you only have a 4.5 qt Kitchen Aid stand mixer….this recipe is almost on the verge of overflowing your bowl. If the 4.5 is what you have…..mix it in the mixer ……when you get to the last 2 or 3 cups of flour move it to a bigger mixing bowl (the biggest you have I would say) and finish mixing by hand. 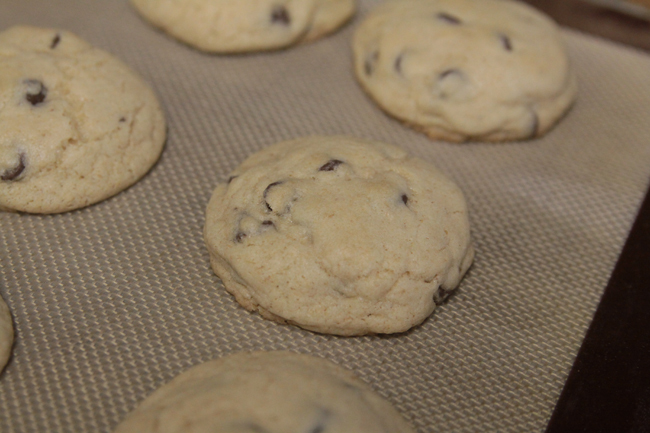 But this will be so worth it…..these cookies are the best I have ever made. Oh.My.Goodness. These are truly the best chocolate chip cookies, hands down. With 9 of us in the family I have tried numerous recipes with no satisfaction(at least for me) and I love to bake for them. Love, love, love it. And a thumbs up from the entire family! Thank you! It has to be the addition of wheat flour that does the trick. These cookies turned out great! It was a HUGE batch of dough. You did warn us, so I used my stand mixer, but this just about overpowered my mixer. Next time, I will prepare half the recipe, since it does make a LOT of wonderful cookies! Thanks for this great upgrade! THANK YOU! These are the best cookies ever! I am sure I’ll be handing this recipe down to my children, when they are adults. Can you make these using M & M candies? I love these cookies. They taste great, the large batch is perfect for my family of 6. We make a few dozen, then roll and freeze the rest. My kids can then take it out and put it in the oven when they feel for it. how much flour do I use if I don’t have any wheat flour? I can’t wait to try this recipe this weekend. I need to make a ton of cookies for a family wedding. 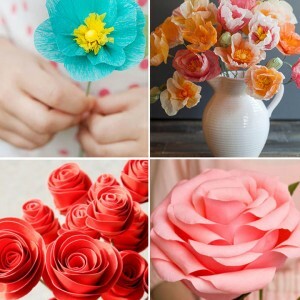 Si ce the wedding will be st my home I want to make these well ahead. Help!!! Any suggestion in cooking ahead and then freezing them. I’ve never frozen cookies before. How do you do this and how do you defrost? Sure! As soon as cookies are completely cool, stack them in gallon size freezer ziplock bags and pop in the freezer. They should defrost after a few hours sitting out on the counter. I’m not sure exactly how long they will take to defrost, so you might want to give it a try ahead of the wedding, but I’m thinking a couple hours would be great. Good luck! I tried these cookies this weekend, loved the ease of how they went together. My only issue I had switched to unsalted butter a few years back so I hadn’t taken that into account when making these that one tsp would be sufficient, they tasted a little flat to me, don’t get me wrong they are, but just need a bit more salt. So next time I’ll either use salted butter or increase the salt. Thanks so much for the recipe! (after making these and noticing the my teens had gotten into them through the night i knew Id have to hid them, so I’ve had to resort to keeping them in my car, good thing I have strong self control )!